Well; what a great weekend we had at the MG Classic. 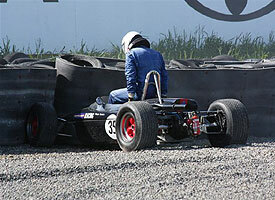 Some of us leisurely drove down to Feilding on Thursday in lovely fine weather. 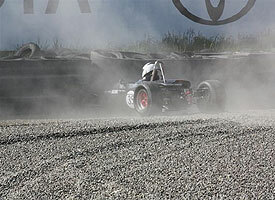 Others had to get out of bed really early to get there on time to take advantage of Friday testing at only $75. Others arrived casually during Friday and got set up for the weekend. 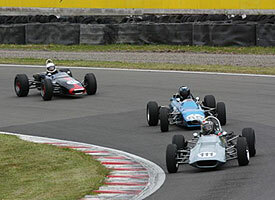 We had 29 cars in our races and 18 of these were Formula Fords from both Islands. It is fantastic having the South Island guys come up each year to do battle with us. We always have lots of fun with them, whether it be in the North or South. I certainly hope more of you will venture further a field and enjoy the comradery we have. Saturday dawned very windy, and very cold. We were scheduled for qualifying and 4 races for the weekend. At drivers briefing Ron asked to see the Historic group co ordinater after briefing. Michael Hunter came with me to offer his input, which was appreciated under the circumstances. We had an extremely friendly discussion where Ron said he would do his best to fit in another race for us, and explained we were not being singled out or ostracized with a 4 race format, and that it was purely a mistake. The meeting as usual was run like clockwork, and by lunch time Ron came and said we would get the additional race at the end of the days racing. Which we did. Sunday arrived a little warmer but still very windy. We were second out again, and had our one and only handicap race, followed by our last race mid afternoon. We did a few random compression checks, and a full check on Tony’s car, which I am delighted to say is back to legal. We will be continuing with the engine checks. 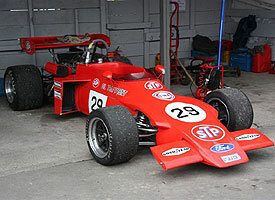 Several of our group have attended to their engines over the winter and it sure did show over the weekend. We had fantastic close fun racing, without anyone being able to pull a break on the others. Heaps of dicing and slip streaming going on. Make one small mistake and your playmate is through and it is your turn to hassle him into leaving a gap. The after race fun in the pits was almost as good as the racing. Of all the close racing, we had no coming together and no hits or touches. I am proud to be part of our group that displayed good disciplined racing and also put on a very good show for the large crowd. 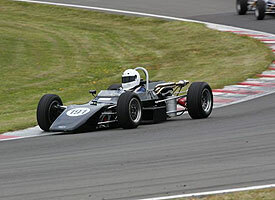 Some experienced small mechanical problems which were overcome. I really feel for Stan who broke a cam follower, which ended his fun. 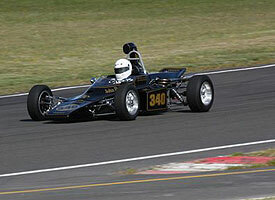 Join the HRSCC meeting at Taupo on Sunday the 6th December, and feel the fun of genuine Formula Ford racing. 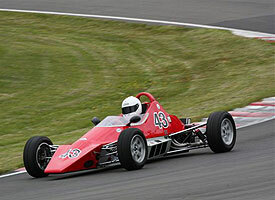 Thanks to Mark Joblin Classic Cover Insurance for forwarding the photos on this page, all taken by Steve Beale. 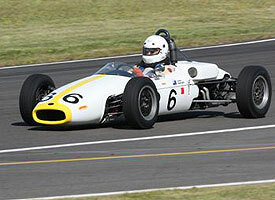 See you there, Bruce McCoy NZ Historic FF Register Co-ordinator.